A wave of defense euphoria is sweeping Europe. It started about a year ago after the UK’s vote to leave the EU and the publication of the EU global strategy, and increased with the elections of U.S. President Donald Trump and French President Emmanuel Macron. The European project could be relaunched via reinforced defense integration, the idea goes. Migration and economic questions are too controversial to broach, but defense matters to all Europeans, especially since Russia and the self-proclaimed Islamic State reminded them that Europe cannot take security and defense for granted. Over the last year, political rhetoric and ideas on how to improve the EU’s defense setup have flourished. As a result, new acronyms appeared: a military planning and conduct capability (MPCC), a sort of European headquarters; a coordinated annual review of defense (CARD); a European defense fund (EDF) to finance developments of prototype military kits; and permanent structured cooperation (PESCO), which allows groups of willing EU members to advance more quickly in defense cooperation. What is more, the European Commission, traditionally not involved in this field, is tipping its toes into defense, bringing its financial tools to the table and broadening the narrow focus from the EU’s Common Security and Defense Policy (CSDP) to a broader idea of EU defense. For the Indian Space Research Organisation (ISRO), this has been a remarkable year. It took two launches to make it so. The first, in February, set the startling record of the maximum satellites injected into orbit by a single launch, 104—a tremendous leap from the previous record of 37. With the Supreme Court turning its gaze on privacy issues associated with Aadhaar, can we take a moment to look to the myriad ways in which our privacy is being assaulted in the digital world? When my neighbour across the street got too curious about my life, I installed curtains to block his gaze. But what about when the invisible drones at Facebook send him a message that one of my colleagues has tagged me enjoying a music festival in Goa and he might want to “like” this picture? How do we draw a curtain around our digital lives? Most narratives on the subject published in India stress that as the proposed China-Pakistan Economic Corridor (CPEC) traverses through Indian sovereign territory in Gilgit-Baltistan (GB) which is a part of Pakistan-occupied Kashmir (PoK), India is well within its rights to refuse any participation. This stand is a principled one with considerable merit. While this position meets with the short-term tactical requirements it does not answer what should be India’s long-term strategy on this issue. When India gained independence in August 1947, the state of Jammu and Kashmir had an area of 222,236 sq. km. Since then, due to conflict and aggression, Pakistan occupies about 78,114 sq. km and China about 42,685 sq. km, including 5,180 sq. km illegally ceded by Pakistan to China. About 101,437 sq. km remains with India. Thus three states are now in contention in Kashmir, with China denying strenuously that Aksai Chin, the area that it occupies, was ever a part of Kashmir. However, as far as CPEC is concerned, what interests us is the position of GB. President Trump was typically self-absorbed in his tweet on Wednesday celebrating the 242nd birthday of the United States Army. “Proud to be your commander-in-chief,” he proclaimed to the soldiers. Yet, when it comes to the actual life-and-death responsibilities of the commander in chief — overseeing America’s vast war machine and sending men and women into conflict — Mr. Trump seems more like the delegator in chief. The latest evidence was his decision this week to give Defense Secretary Jim Mattis the authority to determine troop levels in Afghanistan, which could lead to an increase of as many as 5,000 troops, if proposals favored by Mr. Mattis and his generals go forward. Mr. Mattis has acknowledged to Congress that the United States-led coalition is “not winning” in Afghanistan. It is not at all clear that adding 5,000 more troops — a roughly 50 percent increase over the current troop level of 9,800 — can make a difference, especially when the administration has yet to confront the basic problem of ensuring public safety and the larger political and economic issues that must be part of a comprehensive strategy to resolve the conflict. What such a decision would do is reverse the drawdown President Barack Obama put in place and set a new policy of expanding involvement in a war that has already dragged on for 16 years, cost thousands of American and Afghan lives and consumed billions of dollars. Military commanders chafed under Mr. Obama’s tight controls on troop deployments and war making, which some of them saw as micromanagement. Even so, commanders in chief cannot subcontract their most sacred duties; what the United States faces at this moment is not some routine tactical maneuver or choice. It is what to do about America’s longest war. That is, at bottom, Mr. Trump’s responsibility, and at the moment the nation has no idea what he thinks or where he is headed. Mr. Trump, who has no prior government experience, leaves the impression that he is cowed by the weighty responsibility of sending more Americans into battle, and is looking to put that onus on Mr. Mattis so he has somebody to blame if things go wrong, as he did when he fingered the generals for a botched raid in Yemen in January, in which one member of the Navy SEALs was killed. That the president may be distancing himself from a complex challenge is only one concern. Another is the absence of an informed, wide-ranging public debate. Discussions about possible troop increases have largely been theoretical and limited to experts, prompting Senator John McCain, the Republican chairman of the Senate Armed Services Committee, to complain fiercely at a hearing on Tuesday that the Pentagon has yet to present a plan to regain the battlefield momentum that could provide a framework for decision making. Apart from the fact that the need for additional troops has not been cogently debated, much less established as necessary, such a move now would be premature: None of the big questions have been answered. How will 5,000 more troops turn the tide, when the United States was unable to bring stability to Afghanistan when it had more than 100,000 troops there in 2011? What is the core American national security interest — defeating Al Qaeda, ISIS, the Taliban? Stabilizing the Afghan state? All of the above? None? American civilian and military leaders have long agreed that the goal must be a political settlement with the Taliban. 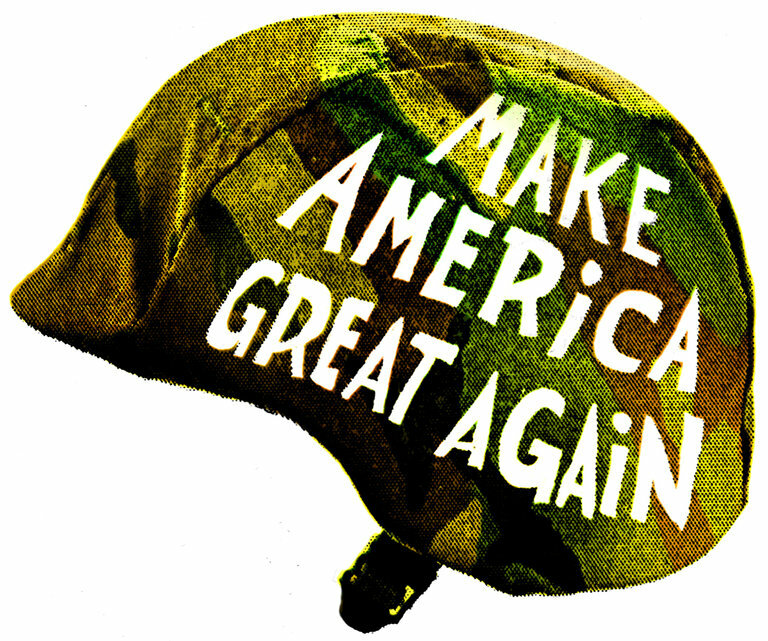 Yet five months into Mr. Trump’s tenure, the well-resourced Pentagon, which is on track to receive a large budget increase this year, is calling the shots — not the State Department, which Mr. Trump’s budget would decimate. One major hindrance to sound policy making is the fact that there are few experts in place to do the work; many senior national security positions remain unfilled. However capable and respected Mr. Mattis may be, the Pentagon and American military forces cannot alone bring stability, or whatever counts as “winning,” to Afghanistan. To achieve any worthwhile outcome, the president must be committed and involved, as must his entire national security team. So far the Pentagon is running the show, largely by default. 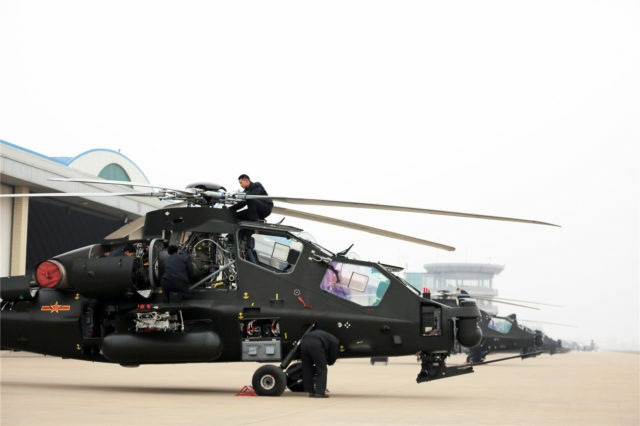 In November 2016, Chinese internet sources showed photos of a ceremony in the (former) 13th Group Army of the People’s Liberation Army (PLA) Army accepting the 1,000th helicopter into the force (NetEase, May 23). This nice round number demonstrates the growth of the Army Aviation Corps over the past decade. Along with Special Operations Forces (SOF), Army Aviation is one of the “new-type combat forces” given priority for development. The increase in the number of Army helicopters accompanies the expansion of the force in the latest round of reforms. In roughly a month’s time, half of all Army Aviation units have experienced some sort of organizational change. However, even as the numbers of helicopters rise, the size of the Army Aviation force is still small for a ground force that will probably number around a million personnel by 2020. The recent changes are an attempt to improve and expand a force that underpins a number of important capabilities from tactical mobility and special operations to logistics support. HER political career has been defined by caution. So it is cruel for Theresa May, and delicious for her enemies, that it may have been ended by one big, disastrous gamble. Eight weeks ago she called a snap election, risking her government for the chance to bank a bigger majority against an apparently shambolic Labour opposition. 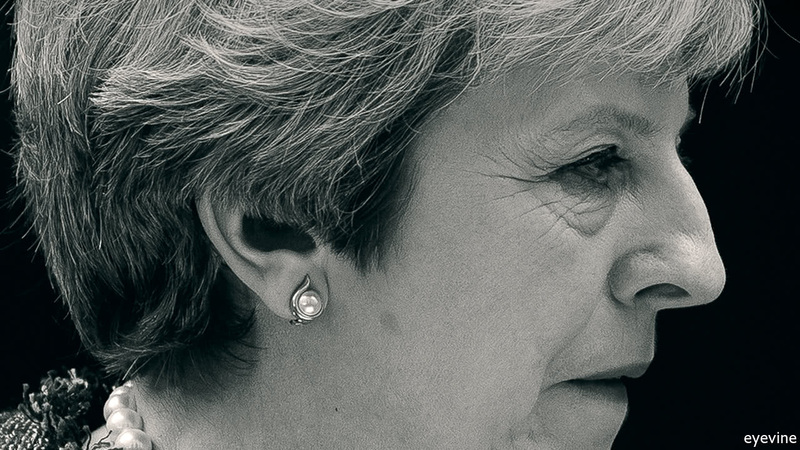 With the Conservatives 20 points ahead in the opinion polls, it looked like a one-way bet to a landslide and a renewed five-year term for her party. But there followed one of the most dramatic collapses in British political history. As we went to press in the early hours of June 9th, the Tories were on course to lose seats, and perhaps their majority. The election of U.S. President Donald Trump last November confounded Berlin. What, German politicians, policymakers, and journalists wondered, should they make of Trump’s vague or even hostile stances toward the EU and NATO or his apparent embrace of Russia? Some hoped that Trump meant to push NATO members to spend more on defense but would, in the end, leave the long-standing U.S. guarantee of European security intact. Others, less optimistic, argued that the days when Germany could rely on the United States for its defense were over—and that the country must start looking out for itself. Those fears have given new life to an old idea: a European nuclear deterrent. Just days after Trump’s election, Roderich Kiesewetter, a senior member of Chancellor Angela Merkel’s Christian Democratic Union, said that if the United States no longer wanted to provide a nuclear shield, France and the United Kingdom should combine their nuclear arsenals into an EU deterrent, financed through a joint EU military budget. Then, in February, Jaroslaw Kaczynski, the leader of Poland’s ruling Law and Justice party, spoke out in favor of the idea of the EU as a “nuclear superpower,” as long as any EU deterrent matched Russian capabilities. The Pentagon should converge its technological and doctrinal efforts towards a perpetual, networked presence that enables operations and awareness anywhere in the world. I recently attended a conference where I was asked to speak on the subject of conservative internationalism. I confess that, before the invitation, I was unaware of this concept. Reflecting upon it made me question the utility of all these labels we assign to various foreign policies. The urge to create these slogans is understandable. Our job as scholars is to provide order and structure to what, in real time, rarely seems coherent or unified. We attempt to identify key themes and principles that tie together what are often disparate, case by case, and highly context specific policy reactions. This exercise is fine, as far as it goes. Yet as US pundits dissect what America’s collective responsibility should be, new attacks remind us what our collective vulnerabilities actually are. Infecting more than 200,000 computers in more than 150 countries around the globe, last month’s WannaCry attack—like the Dyn and Swift attack before it—underscores why, in 2017, borders matter less, not more, to those who threaten us. Should the United States go it alone? In a new book, The Cybersecurity Dilemma, Dr. Ben Buchanan gives a clear and compelling answer: no. The military services are formalizing and bolstering their contribution to the nation's cyber force, known as the U.S. Cyber Command Cyber Mission Force. As a part of a Total Force approach, the Army is considering using both active component and reserve component (RC) personnel to fill the Cyber Mission Force and other requirements in support of Army units. This report identifies the number of Army RC personnel with cyber skills, to help identify ways in which these soldiers can be leveraged to conduct Army cyber operations. This report also describes the broader challenges and opportunities that the use of RC personnel presents. To study this issue, the authors first performed a thorough review of past studies, government reports, and relevant literature. Next, they analyzed data from the Civilian Employment Information database and the Work Experience File database, and they performed analyses of social media data from LinkedIn profiles, which include self-reported cyber skills among reservists. They reviewed and assessed the knowledge, skills, and abilities (KSAs) defined for Cyber Mission Force roles in order to determine the percentage of these KSAs that can be acquired in the private sector. Finally, they conducted a survey of more than 1,200 guardsmen and reservists. U.S. Cyber Command’s defense cyber arm, Joint Force Headquarters-Department of Defense Information Networks, has stood up an intelligence and operations fusion cell aimed at creating better coordination for prioritizing defensive resources. JFHQ-DoDIN, which conducts global command and control and synchronization for defense of the DoDIN, needs better intelligence associated with the network and particular mission sets to help drive operations, according to Col. Cleophus Thomas, the director of operations J3 at JFHQ-DoDIN, who spoke Wednesday during a panel at the Defensive Cyber Operations Symposium in Baltimore, Maryland. PARIS (AP) — Researchers have found a troubling new form of power grid-wrecking software, tying the discovery to a recent Ukrainian blackout in two reports published Monday.